An excellent resource for all children. My Friend...is a series focused on promoting a positive attitude towards disability through understanding and awareness. Each book recounts the story of two friends, one of whom has the featured disability, as we find out about their everyday lives and learn how they cope with their condition. Contains a glossary, table of contents and index. 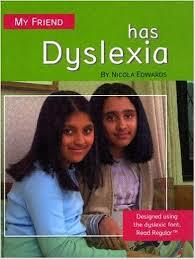 NB: PLEASE NOTE THIS TITLE IS CURRENTLY OUT OF PRINT AND THIS BOOK IS IN VERY GOOD USED CONDITION. 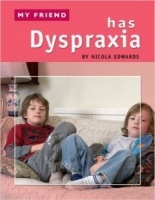 An simple and uncomplicated book to give children a better understanding of Dyspraxia and what it means.